We were commissioned by a restaurant to create several clusters of hanging lamps to create a casual day time feel to compliment the industrial venue. 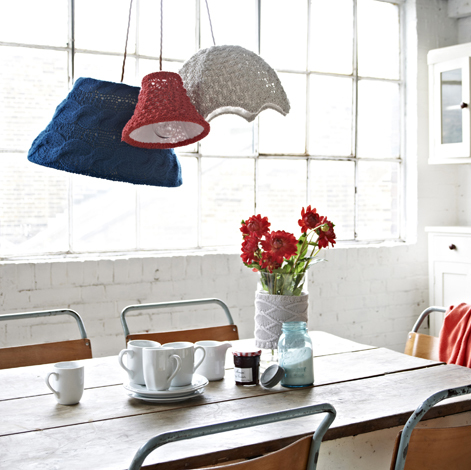 Each lamp shade was hand knitted in a bespoke colour in a variety of knit structures. The twisted fabric covered flexed where wired to a single hanging point.